A great value in a lightweight, versatile cylinder – our reconditioned 10 lb CO2 cylinder, aluminum, with CGA320 valve installed. Fully refurbished and ready for service in beverage delivery, soda, aquariums, industrial uses, and anywhere an easily transportable CO2 source is required. All Safe’s reconditioned 10 lb CO2 cylinders are tested and refinished to the strict quality standards of quality: new, durable, rust-stop exterior paint and hydro testing, for maximum performance, durability, and long service life. The original manufacturer of these cylinders will vary, and so may the cylinder dimensions. 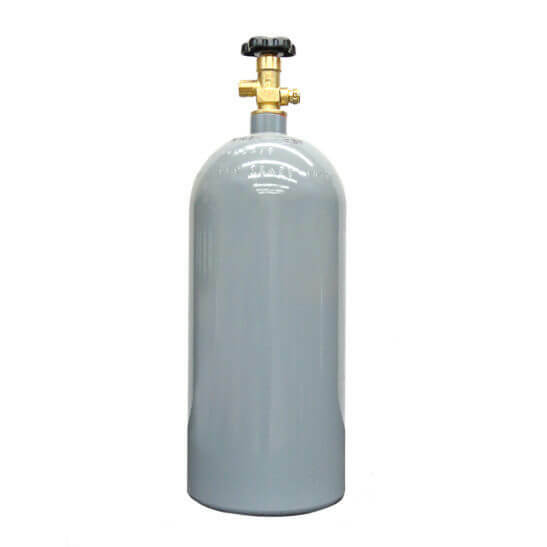 The CO2 tank diameter and height listed here are typical for the cylinder, but the actual product may vary in height by several inches, and diameters may also vary.